Three Days of Essential Presentations and Experiences to Energize You and Your District. Align your conference sessions with the content that fosters growth and supports you, your staff, and your students. With over 200 workshop sessions organized into focus areas, it’s easy for your team to find the content that best benefits your district. Shape the debate. Learn about current national topics that are affecting education leaders and impacting local control and governance. Effective leadership skills are necessary to transform public education. Learn how to align resources to achieve district standards and priorities and understand education reform. 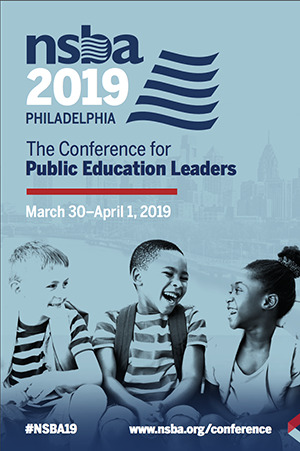 Learn how to deal with economic challenges, manage local bond initiatives, and deal with hot topics, such as common core standards and data-driven decisions. Change leaders in education share how innovative approaches and unique leadership styles can improve student achievement. Essential training to help new board members hone their leadership skills and give others a chance to refresh their knowledge while networking with colleagues from across the country. Learn the different roles and responsibilities of the board and superintendents, and how to collaborate and develop long-term successful relationships inside and outside the system. Understand the factors which set conditions to optimize teaching and learning, narrow, or eliminate the achievement gap, accountability, and continuous improvement within a system. Participate in an interactive 30-minute upload of the latest knowledge on hot topics, lead by experts and their school district clients. Hands-on sessions, workshops, and site visits on how technology is transforming school districts with relevant knowledge for technology directors, administrators, and board members. Through factors including but not limited to disability, race, ethnicity, and socio-economic status, students are deprived of equitable educational opportunities. Learn how to intentionally allocate resources, instruction, and opportunities to all students according to need. The NSBA Customer Service Team is happy to assist you and answer your questions.